Hello my lovelies! I have a pretty basic blue to show you this week. I think a lot of people own at least one of these shimmery blues and they are made by many brands. But I think they are still gorgeous to look at and perfect for winter. 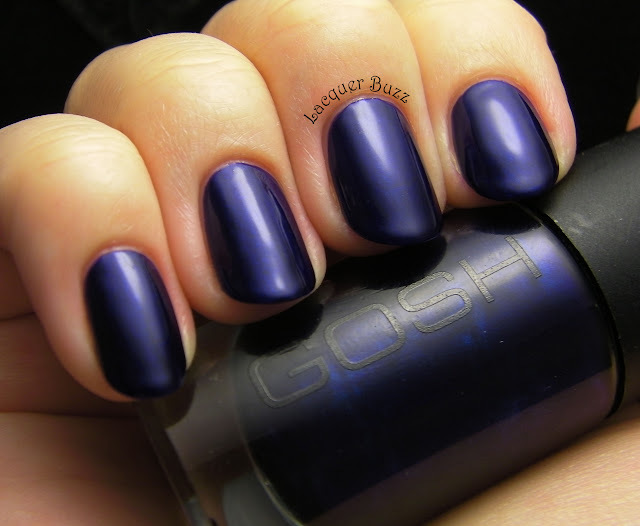 Midnight Blue is a dark navy with lighter blue shimmer. The shimmer is so fine that it's very hard to catch on camera. I bet some of the more sophisticated cameras out there can show it better but mine can't. However this shimmer makes the polish look extra glossy so that's still a good thing. I have some direct light photos below that give you a better idea of this polish. Excuse the awful glare. You can see the tiny shimmer if you look closely at the photo above. If you click it you can make it even bigger! The formula of this polish was quite good. It's on the thinner side but with a good opacity, so 2 coats are all that is needed to make it opaque. The drying time is not very short, but I applied a coat of Seche Vite to make it dry faster. I also tried to do some subtle stamping with a-england Tristam and plate CH15 from Cheeky on top. It was very very subtle and hard to catch on camera but I liked it a lot. This kind of stamping that is "barely there" is one of my favorite things. I wish there would have been some sun for me to photograph this better. 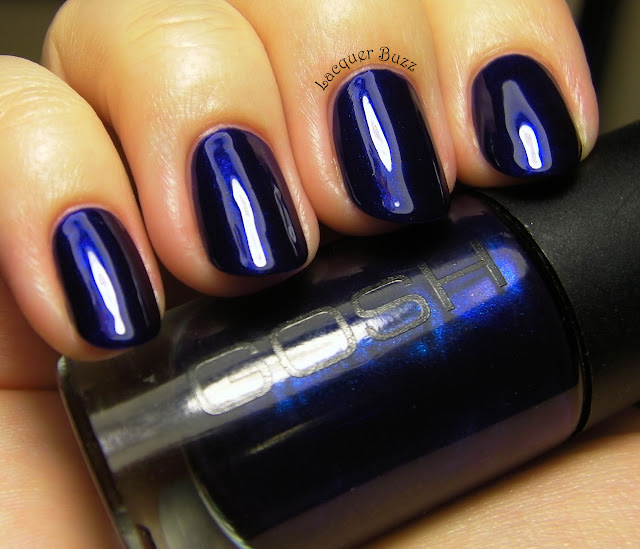 Oh that is a gorgeous blue!! Such a gorgeous blue! I love it!